Sup y’all. My name is Sean. This is my first blog post. ever. Not quite sure how its done, but I wanted to do something that would help the “voice” of GreenThink Recycling. Here a few things about me personally that lead me to this venture. I’ve always be able to work hard, and I’m a self described worker bee. Even if I hated the work I was doing. Using quotes from Forrest Gump like “I’m not a smart man..” Frustrated with the “corporate value systems” I wanted to do something on my own. I wanted to become the queen bee, or the male version of that. I wanted to create a business that I could hang my hat on as doing something great.. For the people who work for me AND especially something that could have a positive impact on the environment. I have my business degree from Utah Valley University and I never really knew what I wanted to do. But, thanks to my dad pushing me I kept at it and earned that piece of paper and actually learned a thing or two. I haven’t always made the most sustainable decisions, but the more I learned about climate change the more I knew I could have an impact. I started making better more sustainable decisions. I had a friend tell me many years ago that the waste industry is, and will remain constant. The idea of working in waste seemed kind of daunting, but when I caught wind of recycling becoming mandatory in Salt Lake City I decided it was time to jump off the proverbial cliff and try to fly. There was A LOT that I had to learn. I took a Master Recycler program with Salt Lake City Sustainability Department(SLCGreen). That’s what really got me going. I was able to gain a lot of useful information and generate the foundation for my business. I sat out on my patio several evenings with several beers putting together my business plan. Its kind of funny, the more beers I would drink, the more excited I would get about GreenThink Recycling. I have been operation for just about a year and have seen small, but continuous grow. I am expecting some big things in the next few months as the SLC recycling ordinance becomes enforceable on January 4th, 2018. I have brought on Scott Juarez to do some independent direct sales, while I focus on the web presence. 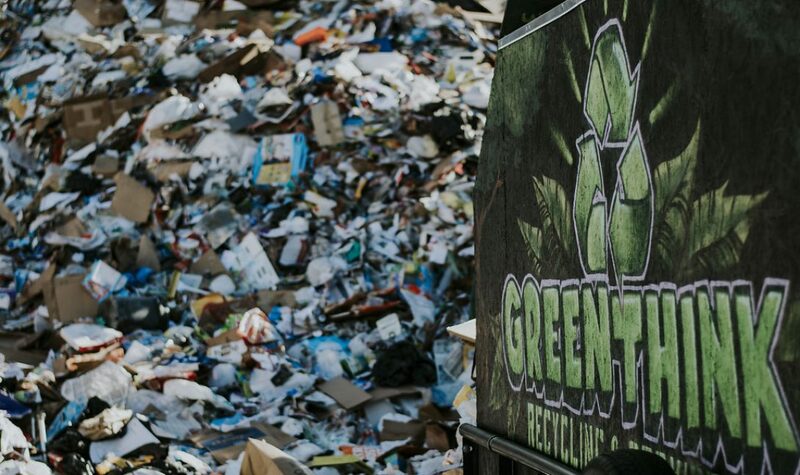 It is our objective to be the best recycling service in the state of Utah, with service and education being a major focus. You can go to www.greenthinkutah.com for additional information. With GreenThink you’ll get more than just a bin.